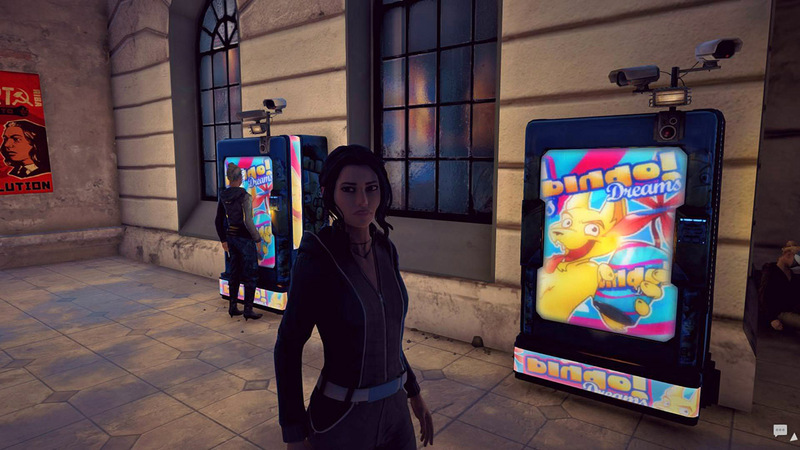 Whether it’s The Longest Journey series or The Secret World, Bingo! 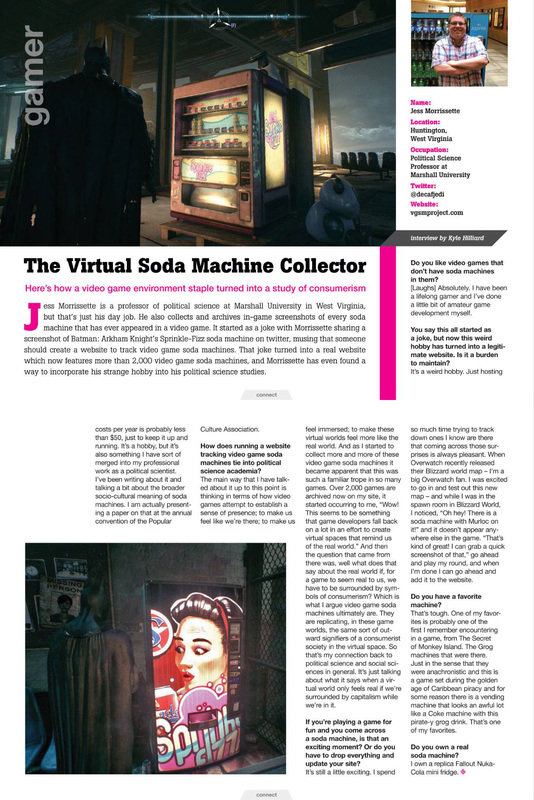 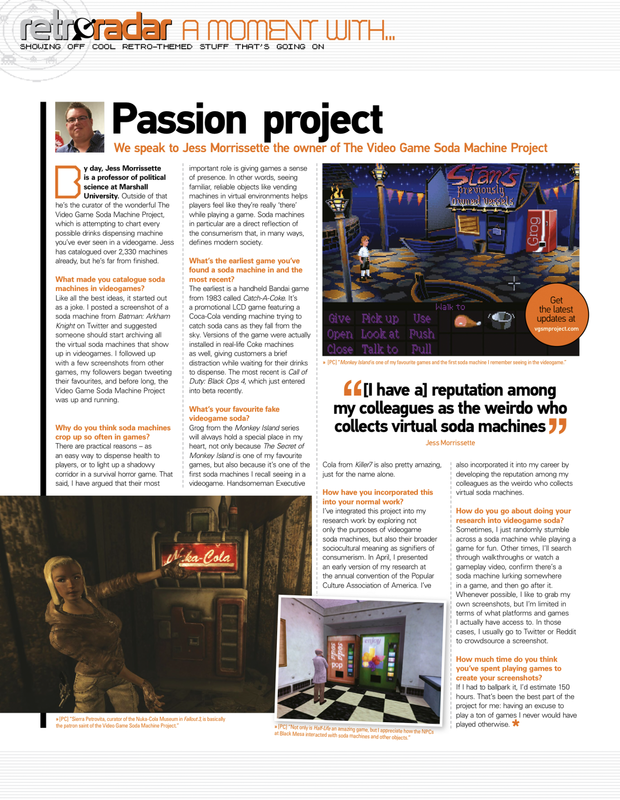 soda is a fixture in designer Ragnar Tørnquist’s games. 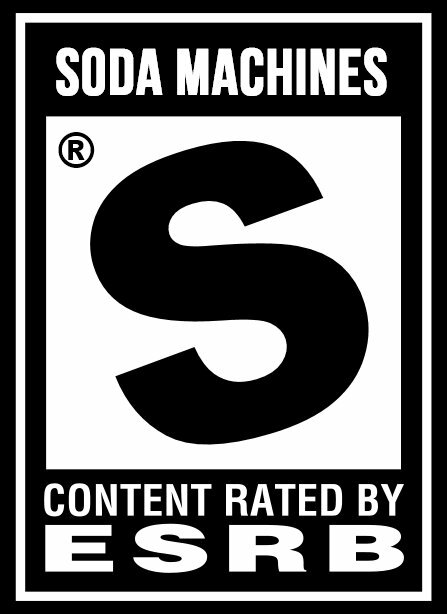 So, it’s not surprising to see a Bingo! 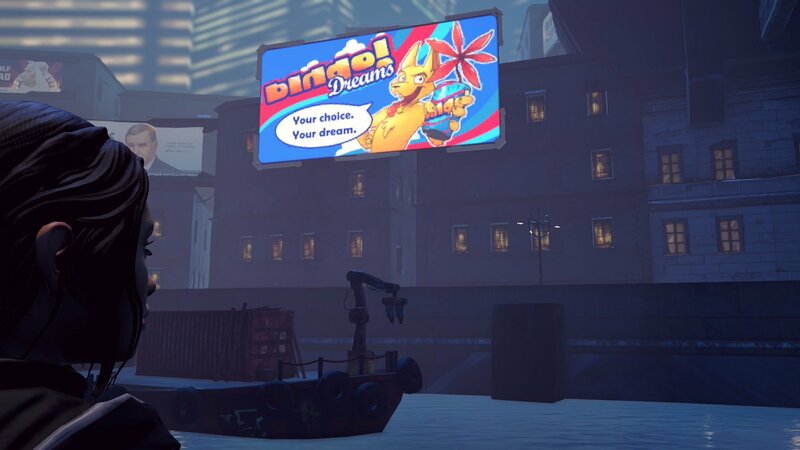 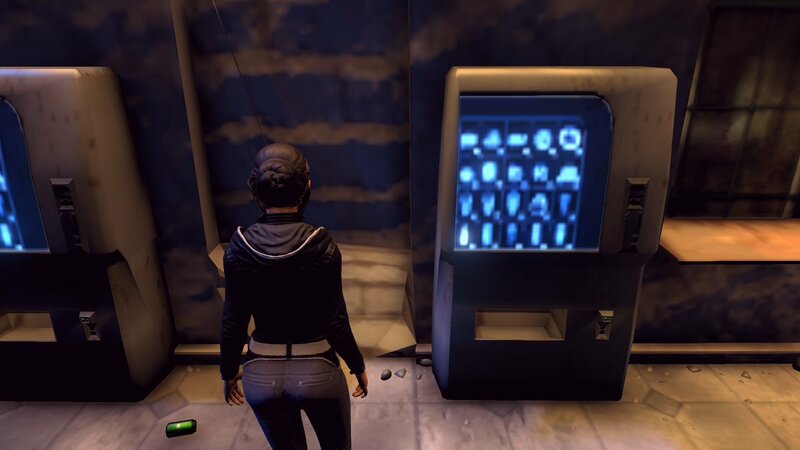 machine pop up in Dreamfall Chapters. 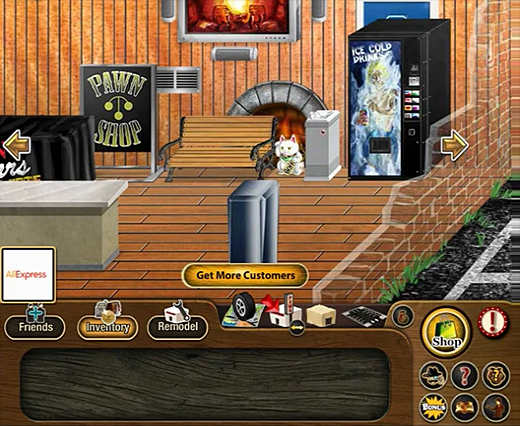 While the vending machines in the next screenshot don’t boast an anthropomorphic canine mascot, they nevertheless offer a variety of snacks and drinks, including “carbonated tequila shots.” How refreshing!